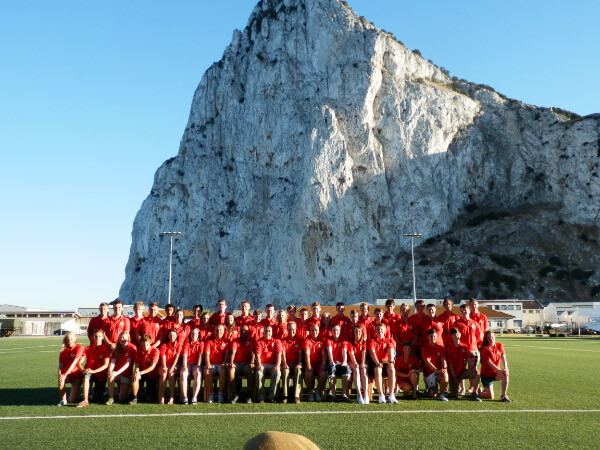 On Monday 15th July 2013, a group of 46 staff and cadets from Number 3 Welsh Wing left Gatwick airport heading out to the British overseas territory of Gibraltar to take part in Operation Red Dragon, a two week expedition which was the culmination of many months of planning and training. Situated at the meeting point between the waters of the Atlantic and Mediterranean, and the landmasses of Europe and Africa, Gibraltar is a diving location unlike any other on earth. A last bastion of the British Empire nestled in the shadow of the Rock, it is both a bustling port-city and ancient mountain-fortress; a monument to a thousand years of maritime commerce and conflict at the edge of Europe. It is this unique location and rich history which attracted Number 3 Welsh Wing back to the Rock, and once again we were not disappointed. 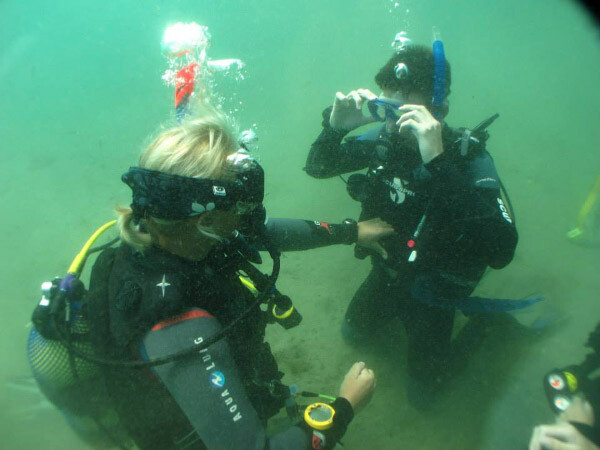 The primary activity of our expedition was scuba diving, with the majority of the camp working towards the Professional Association of Diving Instructors (PADI) Open Water qualification and the remainder working towards the advanced diver qualification. For our new divers the sheltered waters of Rosia Bay were their first taste of ocean diving, and by the end of the week long course they had gained the confidence and skill set to complete their Open Water qualifications. Our advanced divers continued to develop their own skill set by completing rescue drills, partaking in challenging navigation and leadership exercises and increasing the depth level for which they are allowed to dive. This training proved to be an amazing opportunity to see the unique aquatic life from the Mediterranean and Atlantic co-habiting the same stretch of seabed where the two waters met. The remainder of the camp offered our cadets further opportunity to explore this magnificent peninsula while keeping in line with the Air Training Corps motto of “Venture Adventure”. The cadets enjoyed a wide variety of activities including dolphin safaris, hiking the world famous Mediterranean steps, meeting the infamous Barbary apes and completing a historic battlefield tour of the Rock. 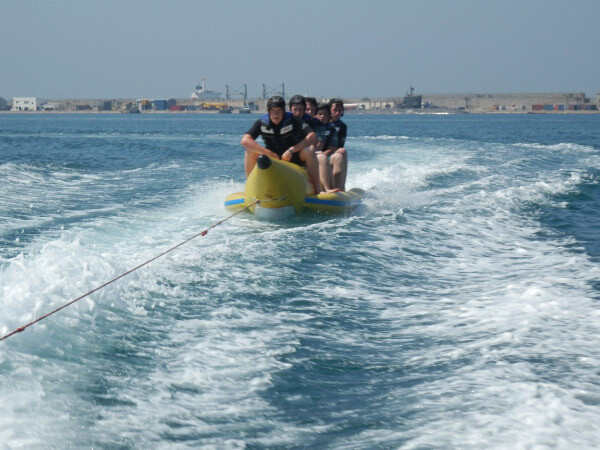 The cadets were also afforded the opportunity to interact with the military personnel based at Gibraltar and in particular enjoyed a section visit with the naval personnel working at gun wharf who took them on a rib boating excursion which culminated in a series of banana boat rides. One of the activities that truly stood out for the cadets was a yachting experience designed to improve communication and teamwork. 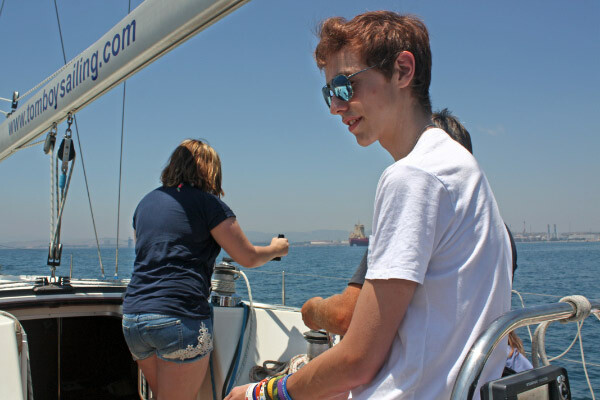 During the trip each cadet was given the opportunity of learning how to preparing the yacht for sailing, how to man the boat as well as how to sail it. The cadets and staff of Number 3 Welsh Wing are extremely grateful to the Ulysses Trust, whose grant allowed the expedition to be run at the lowest possible price, thus making it accessible to the greatest possible number of cadets. Without such generosity exercises such as Operation Red Dragon could not have taken place.